new office in Mullica Hill! 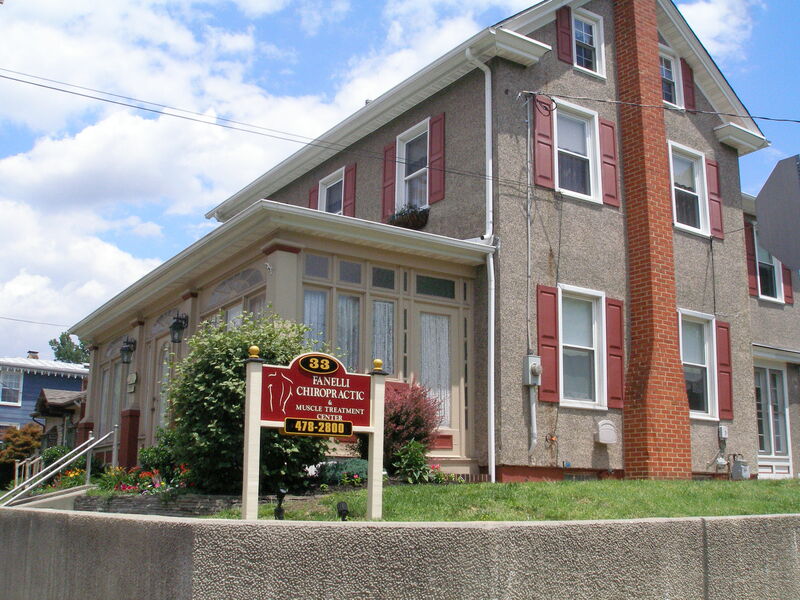 Located on Main Street in the historic district of Mullica Hill, NJ, Fanelli Chiropractic & Muscle Treatment Center is committed to providing personalized care to help you achieve your wellness objectives. Since 1990, Dr. Michael Fanelli has helped thousands of patients by providing specialized soft tissue treatment in addition to traditional chiropractic care. The results are often immediate and dramatic, allowing for a quicker recovery and long-lasting correction. From early on in his professional career, Dr. Fanelli recognized the need to effectively diagnose and treat muscles which have become "tight" due to injury, repetitive motion, poor posture, sedentary job or lifestyle, etc. Specifically, areas of adhesions (scar tissue) are identified, and then precise pressure is applied by hand while the muscle is actively stretched in order to break down the restriction. Once involved muscles are "freed up", chiropractic adjustments are much more effective. To further aid in the healing and relaxation of tight muscles, we also offer dry hydromassage. Our patients often drift off to sleep as warm water jets work the tension out of tight muscles. In addition, our office is equipped with the latest physiotherapy modalities depending on our patient's needs. Whether your goal is simply pain relief or life-long wellness, we can help. Dr. Fanelli is happy to consult with you in person or by phone. If you are new to our website, please feel free to discover and learn about chiropractic wellness. If you are interested in starting your journey towards wellness, please subscribe to our award winning newsletter. If you are already a newsletter subscriber, please explore the member wellness section of our website for wellness articles, resources, and health facts---specifically targeted by Dr. Fanelli to your wellness needs and interests. "Great experience. Very caring and supportive. Active Muscle Release Therapy got my daughter back out on the soccer field within days after struggling with injured IT Band b"